Social media is a term that feels like a bit of an oxymoron. Media by its very nature is designed to communicate ideas to a multitude of people, so doesn’t that make all media social? From TV to radio, even the first printing press — aren’t they all interacting with us somewhat socially? Experiments monitoring brain activity have shown that the simple act of reading a billboard or a poster will illuminate the same corners of our brains that are active when we are having a conversation with another person. Why is it, then, that the most recent splurge of sites like Facebook and Twitter (or blogs like this one) have claimed to be the first supposedly “social” media? What is so different about them compared to more traditional pre-internet ways of talking to the public? The answer, or at least my answer, is that these newer sites are the first major media platforms in history that allow for more than just addressing people, but also an instant and highly personal dialogue between the creator and the receiver of information. Social media provides a multitude of tools that are making how we interact online into something that more closely resembles 2000 B.C. than 2014 (more on that in a moment). To those who claim that texting, tweeting, and hash-tagging are somehow degrading communication and destroying the classical foundations of language, allow me to suggest that the success of these social sites isn’t due to their ability to distort human interaction, but bring it back to what it has always been, a hybrid of words, sounds, and images. A great deal of evolutionary science supports this idea. Humans, great apes, and even monkeys have come to possess hairless hands, complex vocal chords and an astonishing amount of small muscles around their eyes, nose, and mouth, all in service of communicating thoughts and feelings to social groups that desperately depend on trust, cooperation and personal relationships in order to survive. This is as much the case in a hunter-gatherer society as it is in a modern one. The groups have grown larger and more complex, but we still rely on the same basic tools of communication in order to accomplish our goals. One must remember that the great human invention of writing came gradually, and involved the merging of words and images in a revolutionary way, one that we often forget took a great deal of time to formulate. 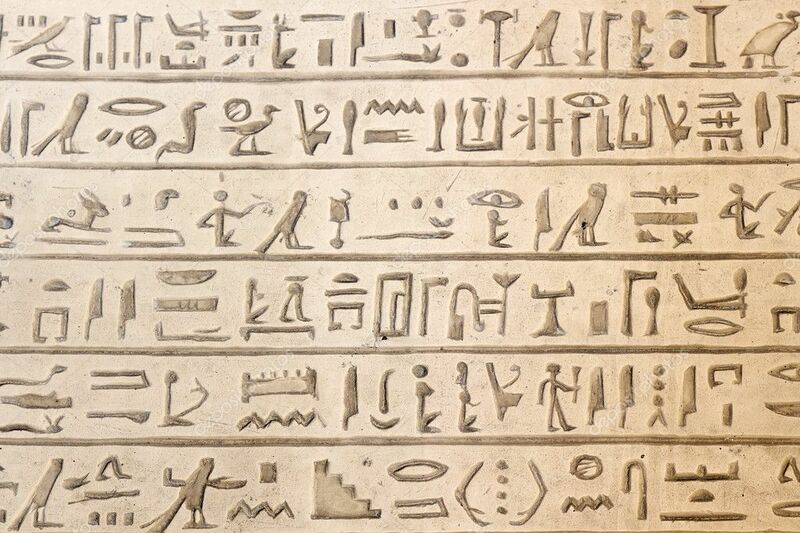 It’s important to remember that the first written languages from Mesopotamian Cuneiform to Egyptian hieroglyphics started as simple pictograms that gradually developed into more elaborate and increasingly more abstract representations of human thought. The fact that most early civilizations didn’t think to separate language from images is especially astonishing, given that modern culture (with the exception of social media and perhaps comic books) has insisted on keeping them almost totally separate. But the written word was long preceded by spoken language and the drawn image. Many classics of western civilization, such as Homer’s Odyssey, were oratory tales centuries before they were written down. Largely illiterate societies of the ancient world relied on images of shared meaning to fill the void that the written word fills today. Digital culture in its current form is a return to this way of thinking. All of them include images of structures, animals, and human body parts. Some are vague, but others have very specific meanings, be the venue a 3,000 year old Egyptian tomb or the screen of someone’s smart phone. Also, In an almost full-circle culmination of events, it’s worth noting that much of modern day Egypt’s revolution employed the posting of countless words, sounds, and images on social media sites, highlighting what was going on in the country at that time. This lightening fast dialogue among Egyptian citizens is part of what so quickly inspired millions to rise up and oust a dictator who had been in power for decades. Revolutions aside, Some American musicians are catching on to this idea too, making music videos that further blur the line between writing, sound, and imagery. Electronic Music producer Dillon Francis has a relatively new music video made entirely out of iphone emojis, and even has a vocalist singing the line “hieroglyphics in your eyes” as a vague sum-up of text messaging culture. Modern social media sites and even texting apps on devices like the iphone have effectively taken the basic elements of communication (words, sounds, images) and applied them to a digital space. It has captured a way for us to not just share information, but also a personality. It allows us to form a uniquely emotional voice to the delivery of our thoughts and perhaps get just a fraction of our souls out there for the global human tribe to see. Does this lead to a lot of superficial chatter, gossip, and pointless rambling? Of course. But superficiality and poorly crafted ideas are hardly a new phenomenon. Somewhere in our development as a civilization, thinkers took it upon themselves to compartmentalize human interaction and establish ever greater boundaries between writing, music, and visual art. It’s worth remembering that for most of history, this divide has not been the norm. Social media isn’t a new form of conversing. In more ways than one, it’s the oldest form we have. To view more from this author, follow @Jvanmo on twitter.